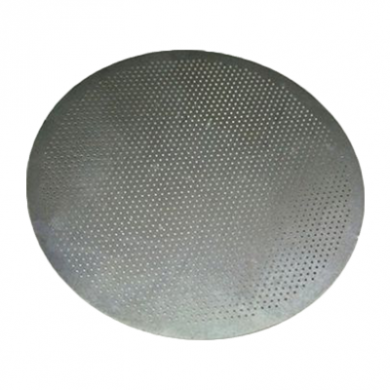 Stainless steel re-useable filter disk specifically for use with the AeroPress coffee maker. Allows more oils to pass through than a paper filter. This disk is punched out of a single sliver of stainless steel which means it is hygienic and has uniform filter holes. Some companies are selling a cheaper filter which is made from stainless steel mesh - the wires in the mesh will be constantly moving and as more coffee is pressed through they will create a non-uniform shape allowing some coffee grounds through. A mesh will also trap grounds - thus reducing its filtering and allowing the oils to collect and go rancid which will affect the taste. Punched from a single piece of stainless steel. More hygienic than mesh filters. Punched sheet maintains a uniform hole size.